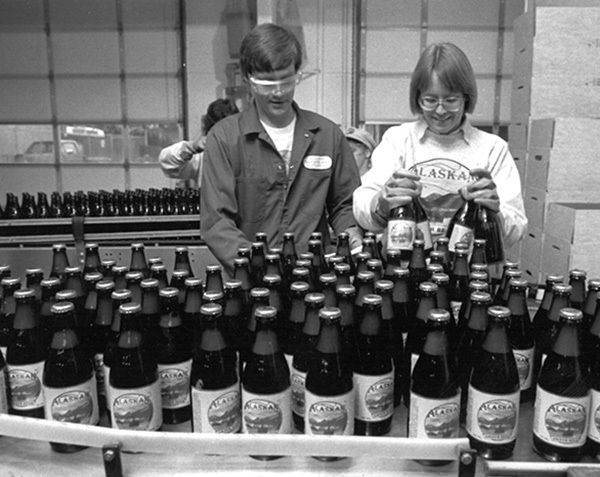 The history of craft brewing saw America’s brewing landscape start to change by the late-1970s. The traditions and styles brought over by immigrants from all over the world were disappearing. Only light lager appeared on shelves and in bars, and imported beer was not a significant player in the marketplace. Highly effective marketing campaigns had changed America’s beer preference to light-adjunct lager. Low calorie light lager beers soon began driving and shaping the growth and nature of the American beer industry, even to present day. By the end of the decade, the beer industry had consolidated to only 44 brewing companies. Industry experts predicted that soon there would only be five brewing companies in the United States. 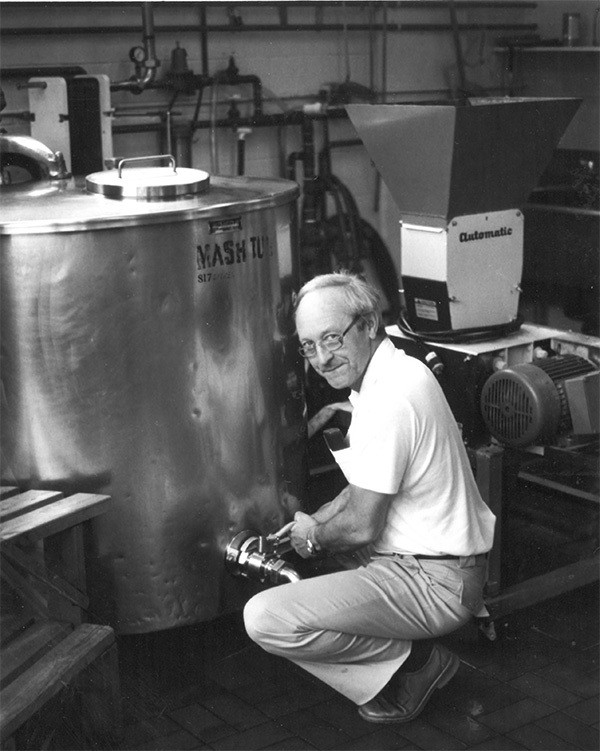 John Mitchell pioneered North America’s first brewpub in 1982. At the same time as the American brewing landscape was shrinking in taste and size, a grassroots homebrewing culture emerged. 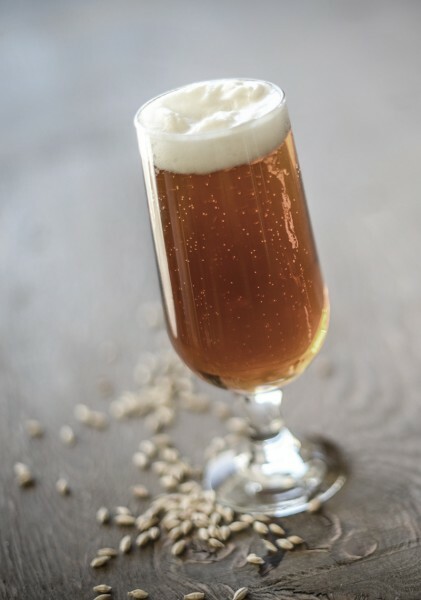 The homebrewing hobby began to thrive because the only way a person in the United States could experience the beer traditions and styles of other countries was to make the beer themselves. These homebrewing roots gave birth to what we now call the “craft brewing” industry. Several notable events took place during this period that helped inspire a change in American beer culture. Anchor Brewing Company was purchased by Fritz Maytag in 1965. Maytag maintained some of the original beer traditions of that brewery, brewing unique beers during a time when all of America’s unique beers and breweries were disappearing. Increased homebrewing activity inspired beer enthusiasts to start their own small brewing companies. Their intent was always to reintroduce the public to more flavor and to the traditions of beer. In 1976, what some call the true renaissance of American craft brewing emerged with the founding of The New Albion Brewery in Sonoma, Calif., by a homebrew enthusiast. While this brewery went out of business after about six years, there were hundreds of homebrewers that were inspired and followed in their footsteps and started breweries in the early-1980s. 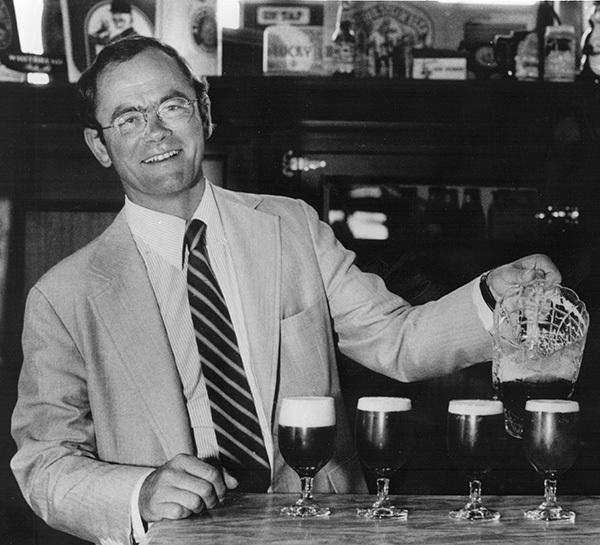 Fritz Maytag, owner, president and master brewer of Anchor Brewing Company. The quality of beer from these small breweries improved over the years, enabling a wider distribution and establishing popularity and choice. Up until the early-1980s the popular image of beer in America was simply that of a mass-produced commodity with little or no character, tradition or culture. The 1980s marked the decade of the microbrewing pioneers. In a time when industry experts flat out refused to recognize their existence as anything serious, the pioneering companies emerged with their passion and a vision, serving their local communities a taste of full-flavored beer and old world European traditions; all with what was to become a uniquely American character. Through extraordinarily difficult market conditions, the microbreweries and brewpubs of the 1980s struggled to establish the foundation for what was to become the proliferation of craft beer in America. 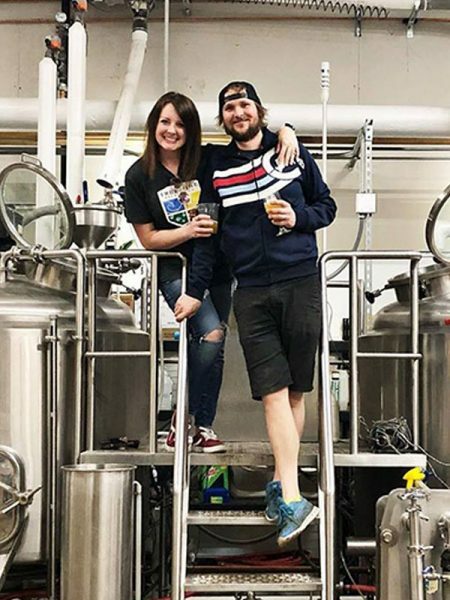 Geoff & Marcy Larson, co-owners and founders of Alaskan Brewing and Bottling Company, check bottles of the brewery’s Amber Beer before boxing. Momentum began to pick up for the microbrewing phenomenon in the early- to mid-1990s with annual volume growth increasing from 35 percent in 1991, to a high of 58 percent in 1995. Craft brewer volume growth slowed to between 1 and 5 percent annually between 1997 and 2003. 2004 saw an acceleration of craft brewer sales with annual growth percentages for the craft segment of between six and 12 percent each year from 2004 through 2008, as beer drinkers increasingly connected with small and independent breweries and local breweries. Craft Brewers have succeeded in establishing high levels of quality, consistency and innovation, expanding the minds of the beer consumers and creating the most diverse brewing culture in the world. While craft brewers only had four percent of the U.S. beer sales in 2008, there is a tremendous upside for beer drinkers and craft brewers. In 2017, the BA launched a seal to help designate beers made by independently owned breweries. The number of craft brewers has gone from eight in 1980, to 537 in 1994, to over 6,000 in 2018. The number of breweries in planning is skyrocketing. 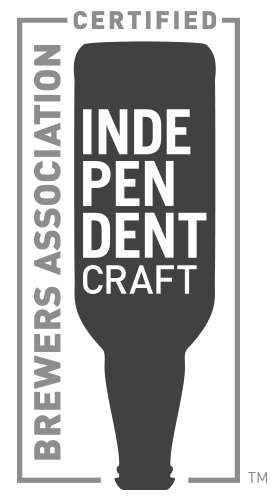 On July 27, 2017 the Brewers Association launched a new seal touting independent craft brewers. Featuring an iconic beer bottle shape flipped upside down, the seal captures the spirit with which craft brewers have upended beer, while informing beer lovers they are choosing a beer from a brewery that is independently owned. These breweries run their businesses free of influence from other alcohol beverage companies which are not themselves craft brewers. 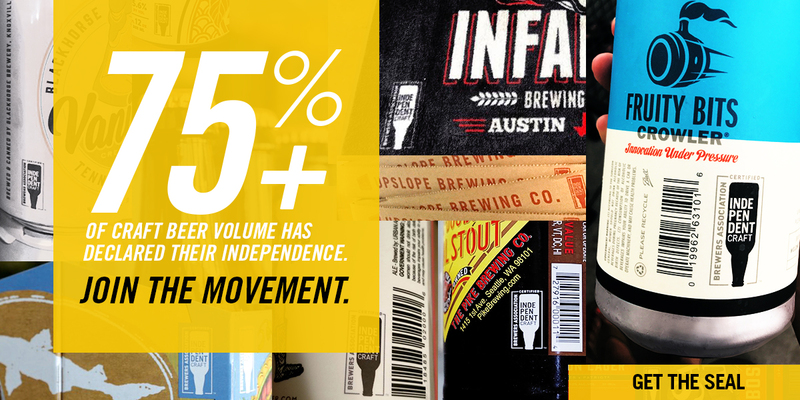 Truly craft brewers and craft beer drinkers are participants in a revolution. There has never been a better time or place to drink beer than in the U.S. right now.